I am often asked to try out a variety of photo books. I made the mistake of saying yes once but gave up after 45 minutes as it was taking too long and I ended up frustrated that I couldn't get it right. I do love the concept of photo books and really want to make the effort to physically print out more photos - I think we all do. Browsing an old album on Facebook is definitely not the same as flicking through a proper printed photo album. The other week we were looking through our first born Harry's old photos and Heidi and Jack asked where their photo books were. I felt sad that I didn't have many physical photos I could show them from their baby years - I was always just too busy to get around to printing any out when they were babies and I also had a toddler in tow. In fact I don't have a single printed photograph of Jack at all. Talk about mum guilt! So when Popsa got in touch and claimed I could make a photo book in less than 5 minutes using their app directly from my iPhone or iPad, my interest was certainly piqued and I agreed to give it a go. I can easily spare 5 minutes from my day. 45 minutes, not so much. 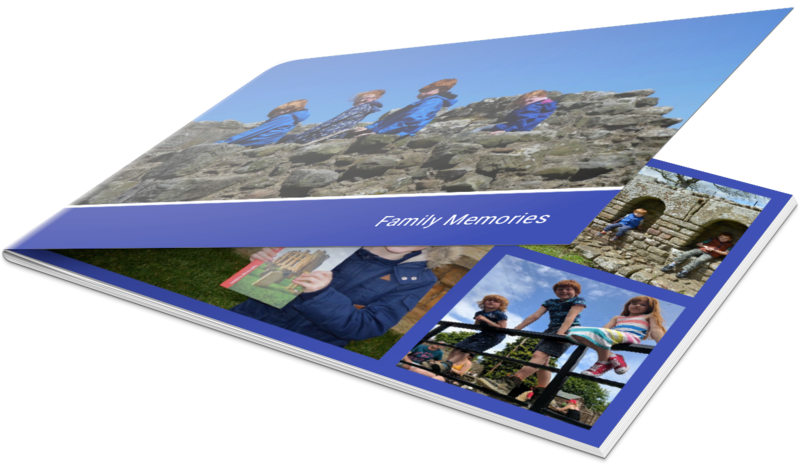 I downloaded the Popsa app from the app store onto my iPad and created 2 albums - one soft cover featuring special family memories from our summer so far and another hard cover from our glamping trip to Edinburgh. I have honestly been blown away with how easy it is to create a photo book using Popsa and yes, it took less than 5 minutes. I'm impressed! You can order soft or hard cover photo books through the app individually (from £6.99 plus delivery) or what I really love is that you can purchase a Popsa Unlimited voucher and print as many photo books as you like. Popsa Unlimited vouchers are currently priced at £9.99 for one month, £29.99 for 3 months, £99 for 12 months or £149 for 24 months. 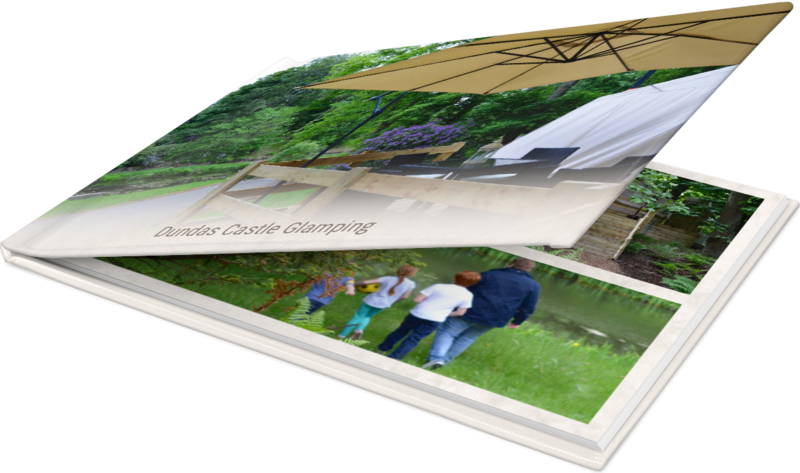 Once you've purchased your voucher you can order as many 16 page A5 soft cover albums as you like and will only need to pay £2.99 postage per book. I think this would make a wonderful gift for new parents who would like to record memories but feel like they don't have the time. I am confident that new parents could even create a photo book using Popsa during the time it takes their baby to feed if they needed to. 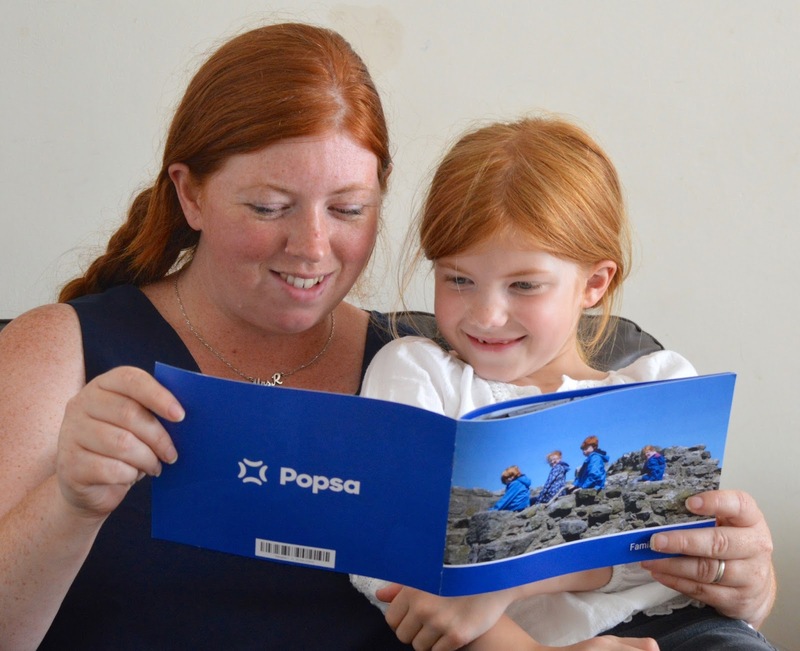 A Popsa Unlimited voucher would also a fantastic gift for christenings, weddings and family celebrations or if you like taking photos like I do but never have the time to print them out, it's a nice little treat for yourself too. 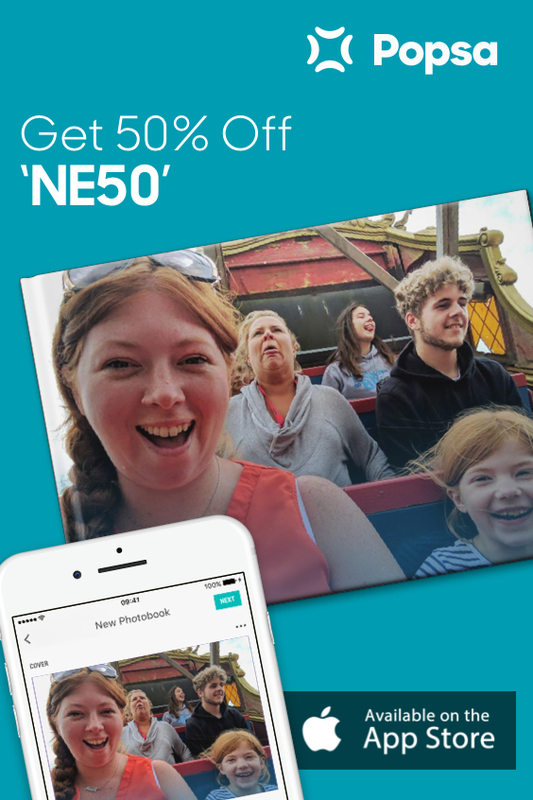 I'll be using my voucher to record lots of our family memories and day trips this simmer. If you buy a Popsa Unlimited voucher you'll also receive a 50% discount on A5 hard cover photo books too. I have been so impressed with Popsa and for me, it's an app that is definitely going to encourage me to create more photo books and record our memories. It's lovely having a physical print out of photographs that we can flick through or take to our grandparent's house. The kids have even taken one of our books into school for a special show and tell! Visit www.Popsa.com and enter 'NE50' at check out to receive 50% off up to 2 photo books of your choice. I obviously had to include this photo of us on a Pirate Ship in our summer memory photo book. The lady's face behind us will always crack me up. She looks exactly how I felt at the time! I have signed up to an unlimited subscription with Popsa and I've made it my mission to print our summer memories. I generally upload most of our photographs to Facebook anyway and being able to create a photo book at the touch of a button from here is just fantastic. Let me know if you give Popsa a try. I promise you won't regret it! I love photobooks, but they can take an age to prepare. I love the idea of making that quicker and easier. This is a fabulous idea. Like you, I'd love to make photo books but never find the time. I don't have a 'new baby' photo book of my second child, and he's now nine!! I'll definitely lok into this, especially with your great discount code. What a great little app and a fab discount too! God this sounds fab! Love the fact it doesn't take very long. Attempted to start one the other day for my grandparents from our trip to hong kong but the upload of the images was going to take about 3 hours. Great find! !